There are many software systems and apps out there claiming they can do this and that for your business. Most of them probably can, but do your research first. Will you have to buy add-ons for it to do what you really need it to do? How easy is it to use? Will it integrate easily with your existing business systems? The difference between FIELDFIX and other job management systems is that our product design initially focussed on the practical needs of field crew, and how we could best help them capture information in the field. “It had to be simple for it to succeed, so that the fat fingers and thumbs out there would use a system they believed in and understood,” said Peter Cooper, FIELDFIX GM. From there, FIELDFIX has evolved to meet both the demands of the guys in the field as well as the complexities of managing a business with data analysis, real time business reporting, project management, scheduling, dispatch, information management and much more. 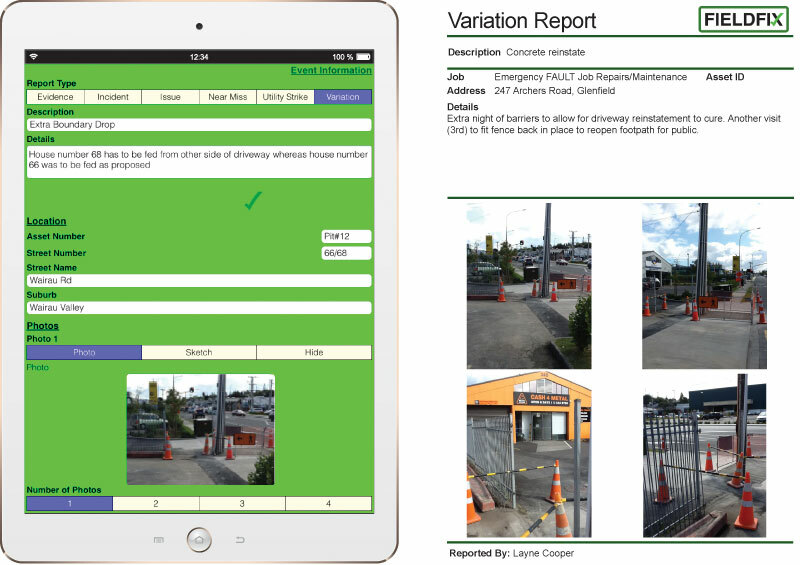 Tried and tested by field crew, office admin and business owners, and on-going consultation with our customers, means FIELDFIX software really does do what you need it to. It’s software that works, driven by the practical needs of the people who use it. When faced with today’s challenges where retaining quality staff and tight margins seem to be the order of the day, how do contracting firms, large and small, stay ahead of the game? When managing jobs, however complex, is crucial to the success of your business, surely having reliable, intuitive systems in place is a necessity? FIELDFIX mobile job management helps you to work smarter not harder. With its easy-to-use yet comprehensive job management and profit screens, FIELDFIX makes it easy for you stay on top of, not only individual jobs, but the bigger picture at all times, no matter how busy your day gets. In a nutshell, FIELDFIX tells you which clients are worth the work and which ones aren’t! How? By providing you with the ability to view the profitably of any job, contract or client and it’s makeup at any given stage of their lifecycle. Packed with lots of smart features like Event Management, FIELDFIX stops your business leaking cash the “pain free” way. Practical software that gives you the ability to anticipate cash flow problems, make smart decisions and stay ahead of the game.